iTunes is a media player used by many iPhone user all over the world. And there are over 1.2 billions of iPhone users all over the world. By this you can get an idea of how many people use the iTunes in their day to day life. With iTunes you can download movies, apps, books, music and many more things. iTunes is the part and parcel of an iPhone user. And you can even stream movies and songs without downloading it. The iTunes also provides it user with the service of renting movies. But there is one drawback about iTunes, the movies you download or rent cannot be shared with your other devices. For example, if you have downloaded a movie on your iPhone and if you wish to watch it on any other platforms like windows, well you are not allowed to do that. You can’t even cast it on your T.V if it’s not an apple TV. In short you can only watch a movie, or listen to music on iOS devices only. And this thing is annoying right. Apple has done this to protect unauthorized redistribution of the digital media and restrict the customers from copying the downloaded content to other platform. This system is called DRM (Digital Right Management). But don’t worry, there is another way you can approach to do this. We have the right app for you, to help you enjoy your movies, music, books etc that you have paid money for and you can’t enjoy it fully. 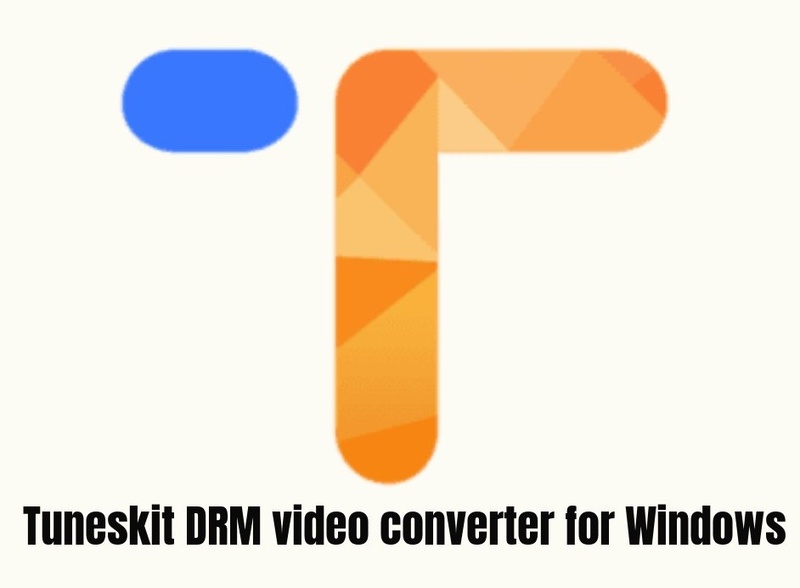 The Tuneskit DRM Media Converter for Windows. This app helps you to remove the DRM system thus helping you to enjoy your media to the full. The Tuneskit DRM Media Converter removes the fairplay DRM protection of iTunes, that is, it will remove the DRM mechanism from the movies or TV shows you purchased or rented. Features Provided by the Tuneskit DRM Media Converter are as follows. 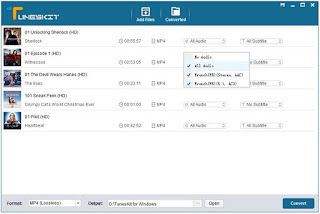 Convert M4V Videos to DRM free M4V format. The Tuneskit DRM converter can convert your purchased or rented movies from M4V to DRM free and lossless M4V. This will maintain the picture quality so that you can enjoy your movies and TV Show to the fullest. Most other softwares that does the job of removal of DRM cannot do it efficiently as they don’t provide the feature of lossless conversion. Fastest DRM M4V to MP4 Converter. 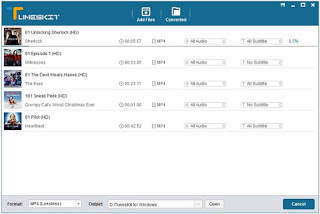 The Tuneskit DRM converter can conver your DRM M4V videos, movies or TV Shows to a 100% lossless MP4 video format. And the quality is maintained for not jus the video, also for all audio tracks, subtitles, AC3 Dolby 5.1 surround sound. So that you can enjoy your movies, TV Shows, Music videos etc in HD and with Dolby sound quality. The removal procedure of iTunes DRM is at an unimaginable speed which is upto 30X times faster. This is due to the innovative and fast algorithm that does the task in such a fast rate and that too the output is lossless. This will save you, the precious time of yours and you can enjoy your time watching your purchased or rented movies and T.V shows. Now that you know how powerful this software is you might wanna try. The free Trial version of the software will help you understand this powerful software by using it. You try the software once and you would definitely want to by it. To download the Trial version of the Software you just have to go to the below given link and click on the Trial version button and download it. The Following is a guide on how to use the Tuneskit DRM removal software. Once you download the software, install it and open it. After opening it follow the below given steps. Step1. Click on the Add files button to import the movies, videos or TV shows for which you want to do DRM Removal and convert it to other format. You will be prompted with a dialogue box to select the movies or videos you want to convert. Select the files you want to convert or you can even drag the files to the converter. Step 2. Once you add the files to the TunesKit DRM M4V media Converter for Windows you can select the output audio tracks and subtitles as you like. Then click on the format button. Step3. Now you can start removing the DRM mechanism from the iTunes movies and convert DRM video to lossless and DRM free M4V format. After the conversion is completed you can enjoy your movies on the windows platform too. Tuneskit DRM Media Converter for Windows is the best DRM Media Converter for windows. Other DRM removal software are not as good as the Tuneskit DRM Media Converter. I strongly recommend this software to the iTunes users out there. You should really try the free trial version of the software.